A group of plucky volunteers are cycling all the way from Boston to Hull, raising money for Names Not Numbers on June 14th and 15th. They are going to be stopping off at beaches en route, shaking collecting tins – and eating ice creams..
Great news- we have been sent a tax rebate of £3674.86 from our friends at HMRC, thanks to all our amazing supporters who have gift aided their donations to us over the last 3 years! This money will be shared out between the two projects we support, the Raffa Home and Tshwaranang. Which means it will be able to make a real difference to the lives of over 40 children and young people in two continents across the world! Would you like to become a regular donor? If so please follow this link. Thank you once again to all those who give and have helped us get this rebate! Here’s another quick update from the Raffa Home- where the boys have been learning new skills and trades to prepare them for leaving the home when they reach adulthood. Last autumn, three of the older boys from the home attended some training on ‘Appropriate Paper Technology’, in other words, using paper to make items such as trays and stools. The products they made were decorated and sold some during a five-day festival in Delhi in November. The festival was around the issue of human trafficking, and a number of other organisations and community groups attended. The older boys from the home, Rakesh, Pankaj, Gulshan and Gein, also helped out during the festival as crew members, and Pankaj, who is interested in sound engineering, got a good experience working in this field during the event as well. Watch this space for more stories of transformed lives from the projects Names Not Numbers supports! Inspired? Why not donate towards the work of the Raffa Home? Or put on an event and raise money in your local area! 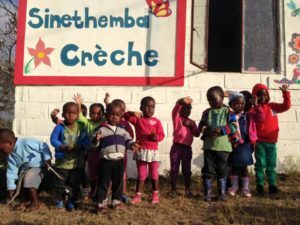 Hope House, the children’s home run by the team at Tshwaranang, has recently received a new house manager. He started in October, the same month their new social worker started. Thanks to all who donate to make these posts possible! Jackie, who is the financial officer for the organisation, writes “The need out there is huge. Please pray that we are able to meet these needs. For us to do that we need far more funding.” There is also a need for more partnership working across the area, so that more can be done with the fewer resources available. Please join us in praying for unity so that more can be accomplished, and ultimately, more lives made better! Please also consider making a donation to the work of Tshwaranang; just visit our donate page for details. © 2013 Names Not Numbers, Registered Charity No. 1138990. Powered by WordPress.